The snow is melting, flowers are blooming, and orange cones are back on our roads. Construction can be frustrating, but it also means more good things on the horizon for Tahoe’s roadways and bike and pedestrian paths. This summer, local governments, the Tahoe Transportation District and state transportation departments are closing gaps in our biking and walking network. Two miles of path will be added in Placer County to Dollar Point. Work continues on 3 miles of path from Sand Harbor to Incline Village in Washoe County. And the city of South Lake Tahoe is completing a path from El Dorado Beach to Ski Run Boulevard. Caltrans’ U.S. 50 to Trout Creek project in South Lake Tahoe is bringing more complete streets to Tahoe’s residents and visitors, and providing important water quality improvements. With spring in full swing, the Lake Tahoe Bicycle Coalition (LTBC), Tahoe Regional Planning Agency (TRPA) and many other partners encourage you and your families to get out and walk or bike to enjoy everything this wonderful region offers. The Tahoe Bike Challenge is one way to jumpstart your biking and walking season, or push yourself to start a healthy new routine. By entering the friendly competition, you can compete as an individual or as part of a team to replace as many vehicles trips as possible with walking and biking. Whether you are going to school, work or just out to play, you can log your trips online to track how far you go, how many trips you’ve replaced and how many carbon emissions you’ve saved. When I first moved to Tahoe, I rode my bike only for fun. Participating in the Bike Challenge changed my mindset. Now I like to bike to work, to run errands, and go out for dinner. It’s a great way to get exercise, enjoy the outdoors and experience Tahoe in new ways. Learn more about the challenge and start participating at http://www.tahoebike.org/tahoe-bike-challenge. While encouraging folks to think differently about how they travel, we also need to remember that roadway awareness and safety is everyone’s responsibility. This is what TRPA, the Community Mobility Group, LTBC, California Highway Patrol and Lake Tahoe Unified School District are focusing on during Safe Routes to School programming and our upcoming event at the South Tahoe Middle School on June 9. This year, partners have taught bicycle and pedestrian safety to second-, fourth- and sixth- grade students throughout the school district. Important safety tools like looking both ways, using hand signals, wearing a helmet, following the rules of the road, never riding your bike against traffic on the road and always walking against traffic are just some of the tips taught to our students while encouraging them to walk and bike to school with their families. A key theme for the Safe Routes to School program and the Lake Tahoe Bicycle Coalition’s “Bike Safe Lake Tahoe!” campaign is that we are all responsible for our safety and the safety of others. We’ve seen too many tragedies on Lake Tahoe roadways. Don’t bike against traffic on the roadway. You are 40 percent more likely to get hit by someone driving a car. When biking or walking, use front and back lights and wear reflective clothing, especially at night. When driving, slow down. Hitting a bicyclist or pedestrian is never good, but the seriousness of the injury is exponentially worse if you are driving more than 25 miles per hour. Never text while driving, biking, or walking. Pay attention to your surroundings. Respect school zones. We are encouraging our youth to get outside and stay healthy through exercise, so help them by increasing safety where they travel. Always wear a helmet. Your brain will thank you. Follow the rules of the road. Cross at crosswalks, slow down for crossing pedestrians, follow the speed limit, and if you’re on a bike, respect stop signs and lights. 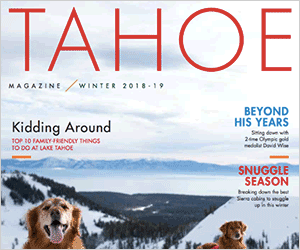 We can all work together to keep our families and friends safe while we improve our health, protect the environment, and experience Tahoe in fun new ways. Learn more about how you can get involved at http://www.trpa.org/transportation. 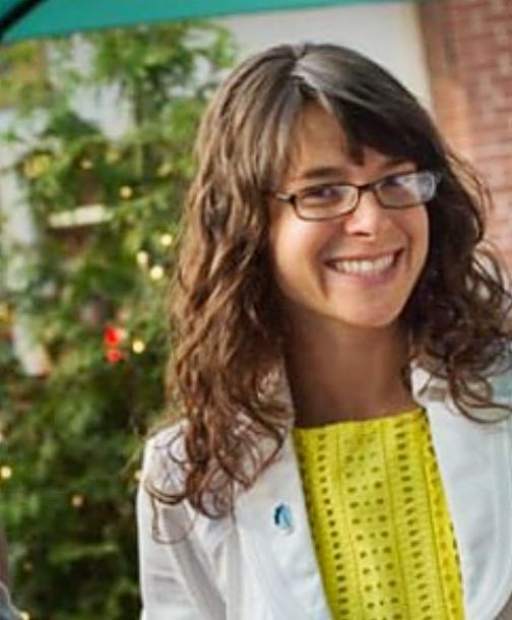 Morgan Beryl is a senior transportation planner at TRPA and an advisory board member to the Lake Tahoe Bike Coalition. Questions? Get in touch at mberyl@trpa.org or call 775- 589-5208.